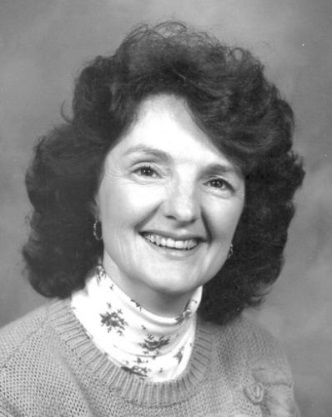 Our mother, grandmother, sister, and friend Leslie Ann Ford passed away peacefully Thursday October 24, 2013 after a 50-year battle with multiple sclerosis. Leslie was born on December 11, 1944 to Robert and Hazel Ford in Ogden, Utah. Of all the jobs that Leslie had, she was committed to the role of mother. Her greatest joy came in watching her children and grandchildren grow and progress. She loved people, and drew great joy from bringing others love, smiles, and encouragement. While multiple sclerosis weakened her body, it could never deter her tremendous faith, which only grew stronger as her body deteriorated. Leslie remained true to that faith until the end and when that end came, those around her knew there was a glorious homecoming as she was welcomed into the arms of her parents, her oldest son, and her Father in Heaven. She is survived by her brothers Steve, Michael and Jeff Ford and their families and her children Chris (Julie) Colt, Deborah (David) Williams and Robert (Angela) Colt and 11 grandchildren; predeceased by her parents and oldest son, Tyler James Colt. Memorial Services will be held Monday, October 28 at 11:00 a.m. preceded with a visitation 1 hour prior to services and Sunday evening from 6:00 p.m. - 8:00 p.m. at Leavitt's Mortuary, 836 36th St., Ogden Utah. Interment will be in the Huntsville Cemetery.